We give full ICU reinforcement in Emergency restorative help and rescue vehicle benefits that suit the necessities of individual and association. We offer our administration for distinctive event or assembling, for example, Small and Large business gathering, Wedding and birthday capacities, School and school sport day, Indoor, open air occasions. 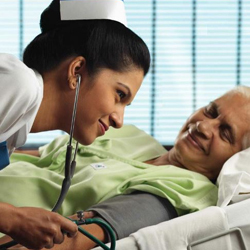 Global Criticare Ambulance Service providing ICU-Intensive Care Unit facility for transportation of Patients to the Government or any Private hospitals with Emergency Ambulance Number services in Chandigarh, Panchkula, Mohali, Kharar, Zirakpur, Ropar. Ambulance Services Our scrupulous ambulance services are easily and cheaply available for the Road Mobile Services in various parts of India. Our road mobile ambulance services have been extensively utilized from time to time for diverse strategic plans & schemes, of the medical & healthcare departments of various State Governments and Union Government of India.